A few months ago I was given a Kreativ Blogger Award Nomination because of this site. This is as close to winning an Oscar as I’ll ever get, so I am quite honored. Now, just to be clear…this isn’t something that’s voted on, this is one where EVERYONE is a winner! It’s a great way to recognize and spread blogging love. Share a list of seven things about yourself. 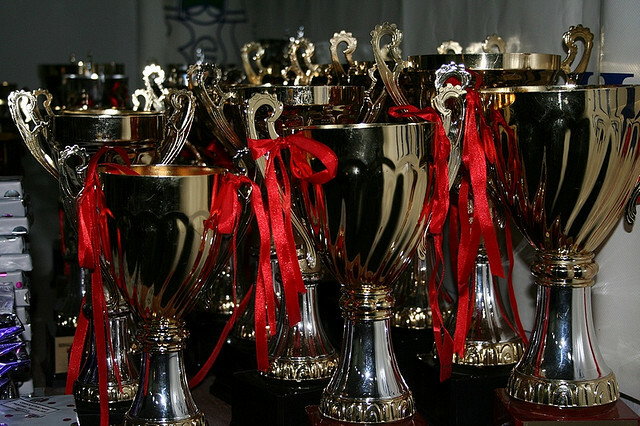 Nominate seven favorite blogs/bloggers for recognition. Pretty simple, and pretty cool too. Because now you’ll get to learn about 8 great blogs around the web that I believe can help you #LiveFully. Christine Niles, I am eternally grateful for your nomination of #LiveFully. But first, a public confession. Christine nominated me in May. But it came right before I traveled to Europe for 3 weeks, which came right before our 2 week packing session, which came right before our move to New Zealand, which came right before a couple months of resettling. So this thank you is way overdue. Christine is passionate about making a difference for the Fatherless in the world. She writes about adoption, chasing dreams, and even does a bit of fiction. She is a great encourager and if you desire to see the orphans of the world find a home, you should be checking out her blog, River of Thoughts. 1) Tor Constantino blogs at The Daily Retort. He recently posted about his love for The Hobbit and how it has influenced his desire to write. That alone is enough to receive a nomination from me, but there’s more! He is rather logical and professional in his approach and manages to blog on a varied number of interesting topics. 2) Benjamin Emerson blogs at The Whole Dang Thing. He is reading through the entire Bible, chapter by chapter, and writing about what he learns. His insight is really good, I’ve even used him as a reference a couple times when I had difficulty with a passage. He is also very funny, but he cares deeply about the Word and it shows in his work. 3) Bryan Allain blogs at BryanAllain.com. He is hilarious. That is all you need to know. But, he is also a blogging genius and has written a high selling bloggers guide (that, I might add, is hilarious). Much of what you read/see/smell here at #LiveFully is because of this man’s inspiration. 4) Seth Caddell blogs at Life As Experienced. The man has a talent I shall never possess: brevity. Seriously, I try really hard to do a short post and it ends up being 893 words. Somehow, Seth consistently stays under 300 words and yet always manages to go deep and make you think. 5) Jamie Golden blogs at Jamie’s Rabbits. Jamie has a special place in my heart because I met her at a bloggers meeting that took place in a restaurant. Everyone who attended got a $5 gift card to the restaurant, and Jamie gave me hers. If you follow her blog, odds are she’ll give you something too. She has the best giveaways! Also, her writing is very, very funny (two verys!) and she posts pictures of food that looks really good. 6) Dustin Stout blogs at Dustn.tv. The sideways picture of his face is enough to win anyone over, but the guy has great creative insight and abilities. I am also amazed at the quality of images he creates. Seriously, the guy is passionate about social media, creativity, and Christ. All great things. 7) Peter Jackson blogs at The Hobbit Blog. Now, I am guessing a Kreativ Blogger nomination for him will not be as exciting as it was for me, after all, he has actually won a few Oscars. But if you have an interest in film, this blog is great. It goes behind the scenes of one of the biggest movies of all time and the blog is a benchmark for the industry. Your turn: What is your favorite blog?